This page was added by Lauren McCurdy on 08/05/2007. In the 50's and early sixties I stayed in the same two guest houses every year with my parents. They were both in Euston Road and next door to each other. One was run by Mrs. Nicholls and the other by Mr. Roberts. They were opposite the Beach railway station. I can remember the path leading to the front door at Mrs. Nicholls house was fashioned with small black and white tiles in a draught board pattern. I always looked forward to staying there as it was close to the beach and the breakfast was so delicious. 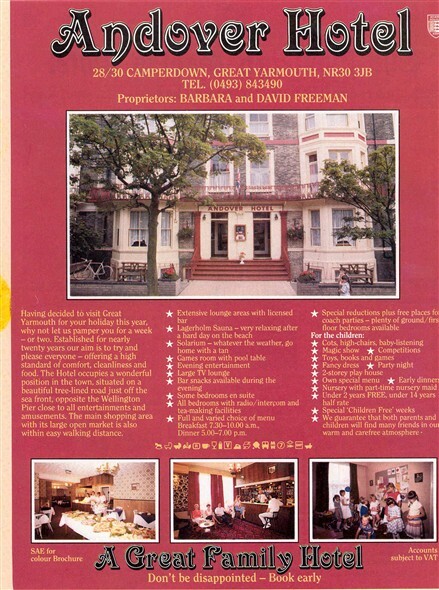 The rooms were always spotlessly clean and the welcome was warm and genuine. I believe Mrs. Nicholls was related to the family who had a fish stall in the market. Mr. Roberts, next door, always wore a short white coat when he served the meals. 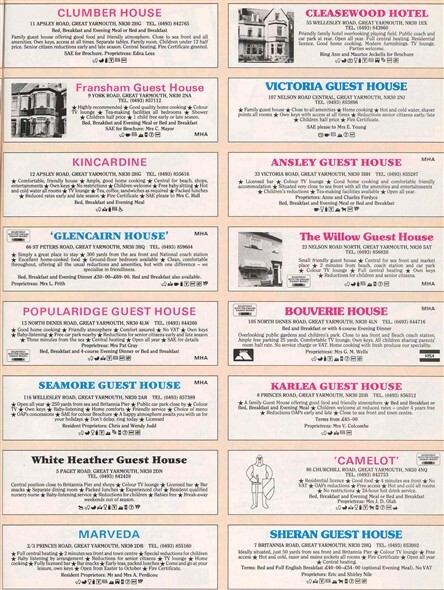 Both guest houses were exellent but I always preffered to stay at Mrs. Nicholls. 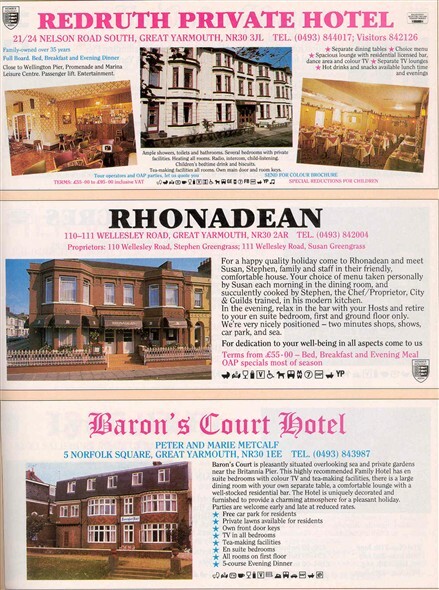 This site has brought back so many happy memories of my childhood and the holidays spent at " Good old Yarmouth".